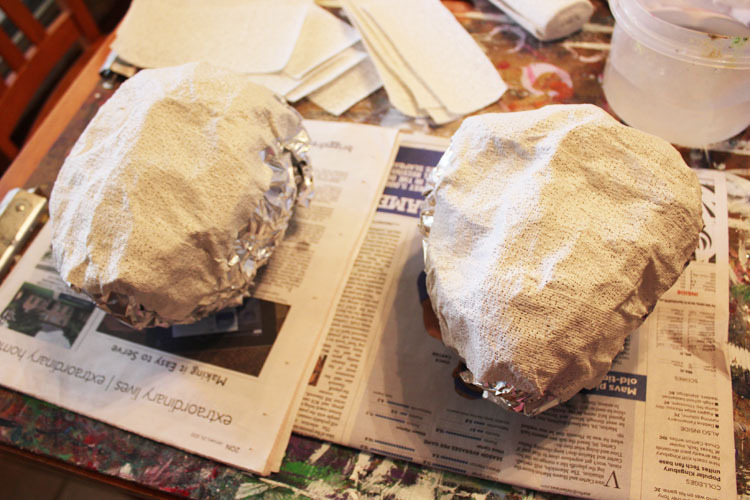 I have decided to do two “close to life-sized” head sculptures to resemble the spooky head casts in Jaggers’s office. I have been wanting to do a 3D object with this project and now is my chance! 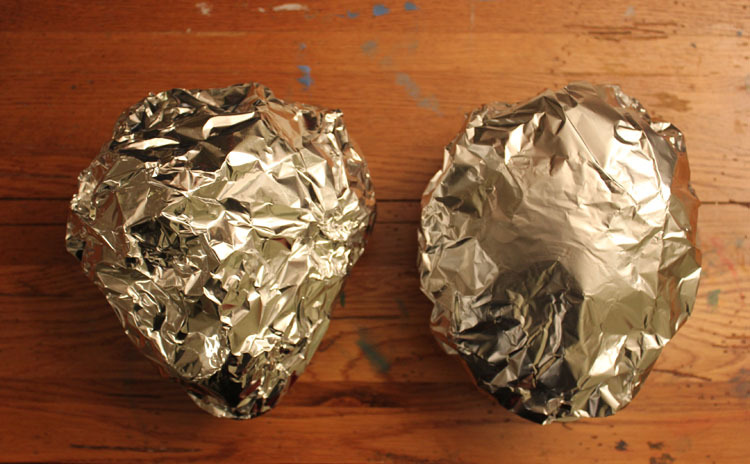 I made two large balls of aluminum foil and then started covering them with plaster tape. I can’t remember what this stuff is called, but it is a roll of mesh material that is covered in dried plaster. You cut it in strips then dip in water. Lay them across your armature, pressing them in. I am thinking these two heads are casts of two criminals that were hanged. Criminals that perhaps Jaggers had represented in court. Creepy! No wonder Pip is spooked.